My family’s favorite meals often include something in the category of West-Mex or Italian. Good thing both of those categories often include cheese. I have to say, that is my biggest weakness. Being that I am busy and trying to live a lower carb lifestyle, it often means I have to really think on it to modify recipes to make sure they fit into the fast and semi-healthy category. I chose to modify traditional tacos this way because wonton wrappers are easy to use in this recipe and allow me to get the crunch I crave from nachos without too many carbs. In the brand I used, there were 31g carbs in 8 wraps. Each ‘cupcake’ has 2 wraps, so this means I could eat up to 4 of them to stay in my carb range of 35g per meal as the rest of the fillings has very little carbs and is high is fiber as well as protein. I really could only get through 3, barely. They are very filling. I used Zaycon Foods Ground beef in this recipe. I usually am not a big fan of ground beef, but I am being 100% honest when I say I love the beef that comes from Zaycon Foods. It is deep red in color, lean and has a great taste. Plus, it’s “pink slime”-free! You can’t really beat the price either. It is $3.49 a lb because it comes in bulk. For a great company that allows consumers to get fresh, never frozen all-natural meat directly from the farmers off their trucks, I can’t imagine a better price for it and I feel good feeding it to my family! Start by browning your Zaycon Foods Ground beef in a large skillet. While that cooks, prep your muffin tins. Spray non-stick spray into each cup and layer 2 wonton wrappers in each one to mostly cover the cup. Make sure to press them in slightly. When the beef is browned, add a can of re-fried beans to the skillet and mix well to form a kind of paste. Drain the black beans and rinse in a strainer to get rid of the starch on them. Open your packet of taco seasoning and sprinkle on top of the bean/beef mix. Add a ¼ cup of water to it and stir well. Using heaping tablespoons, fill each cup with the mixture. Top with black beans and then cheese and place in the oven. Watch them closely as they really do cook very fast. It shouldn't take longer than 10 minutes in the oven. They are done when the edges of the wonton wrappers are brown and the cheese is melted. 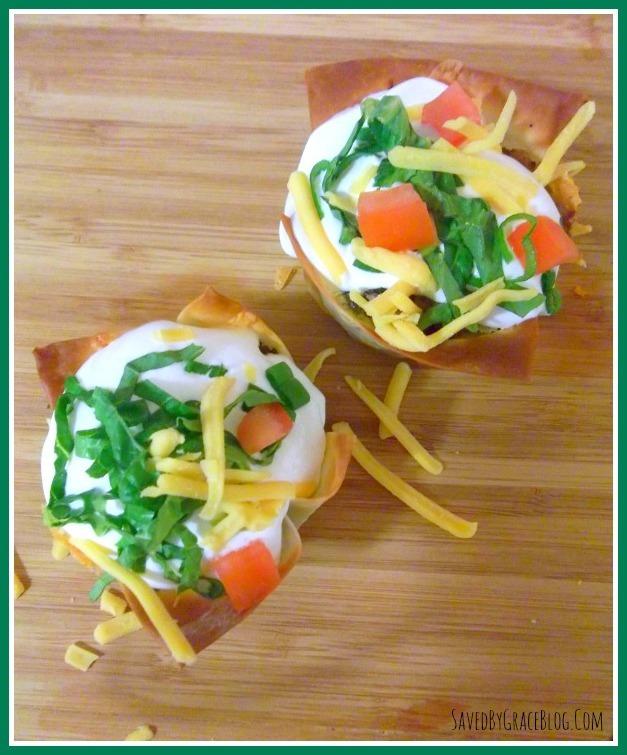 Remove from muffin pan with a fork and top with sour cream and your favorite toppings. This post was sponsored in part by Zaycon Foods. All opinions are my own. This really is a company I can stand behind! These are a great idea. Kids like to eat things that are familiar, yet unique. I think my kids would think these are so much fun. 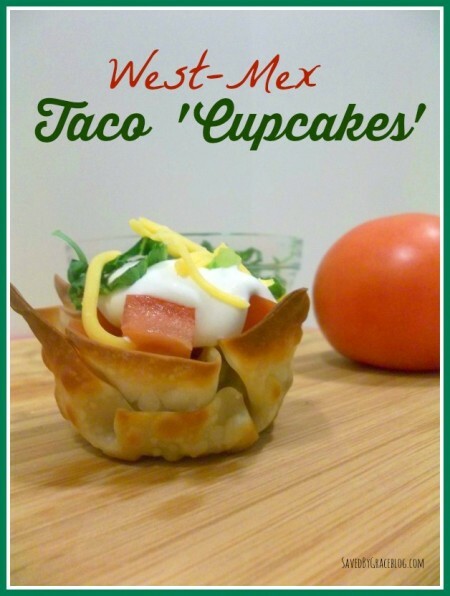 These taco cupcakes look so delicious. I would love to make these for my family. They look easy to make and we like tacos at my house.